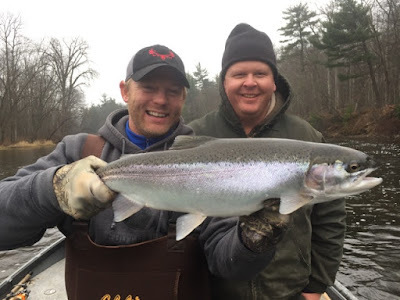 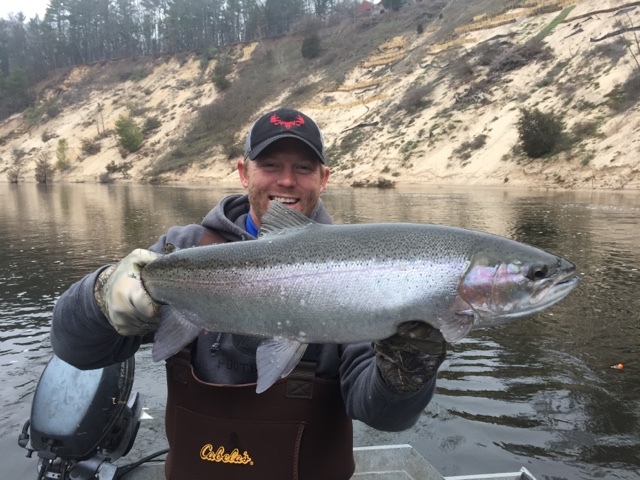 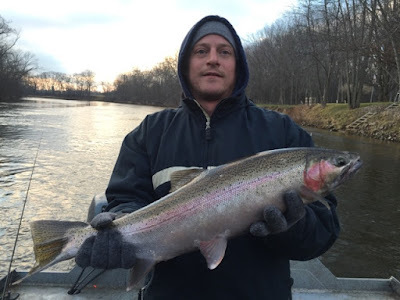 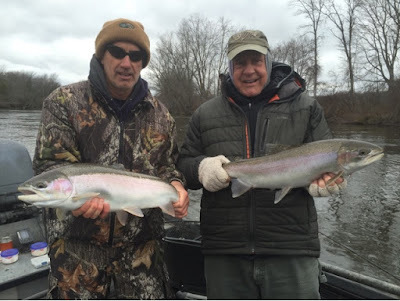 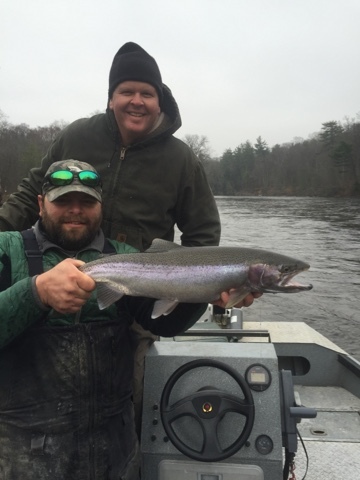 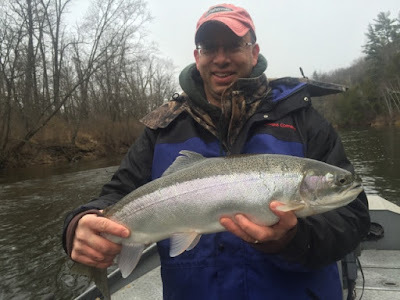 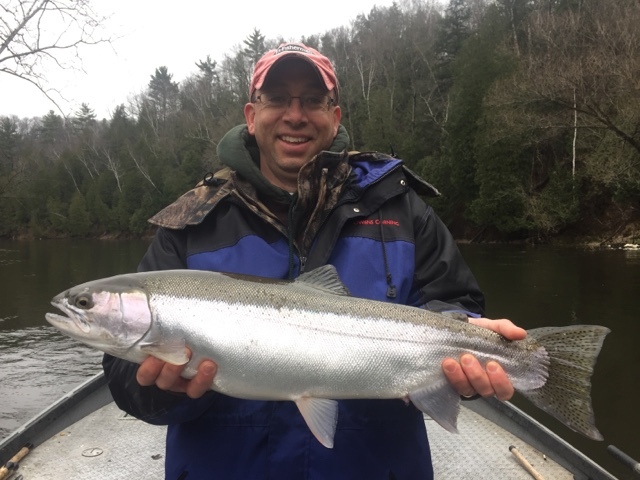 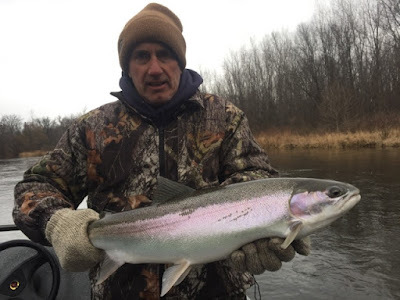 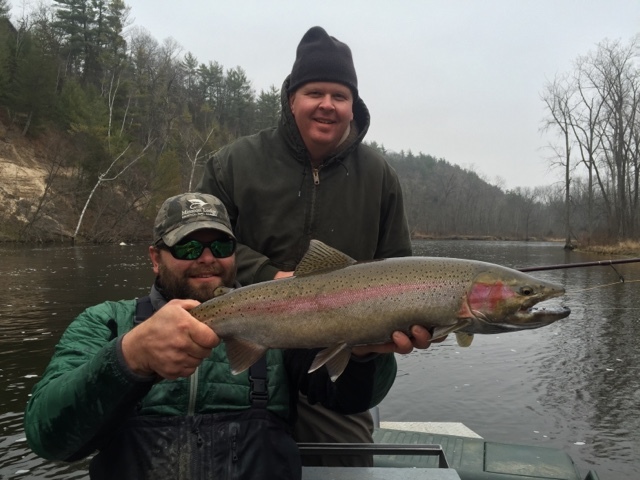 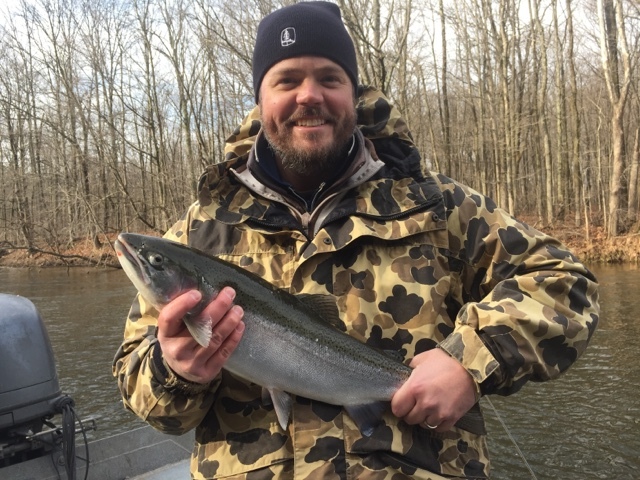 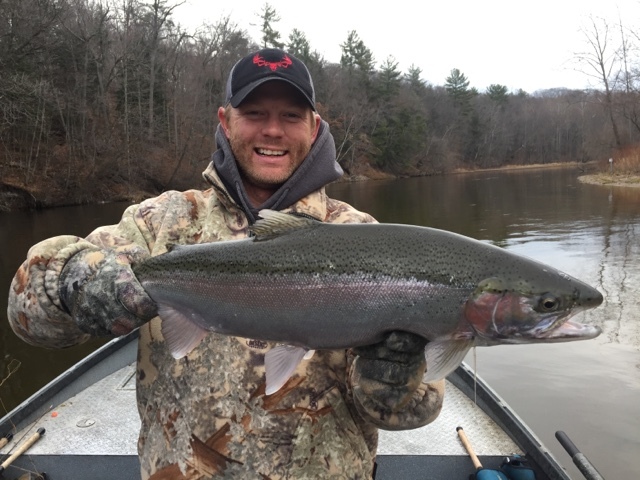 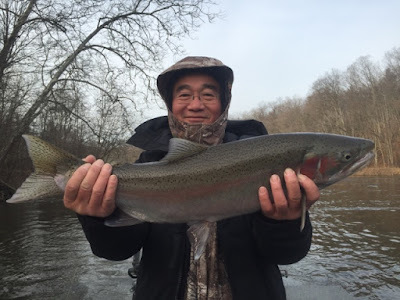 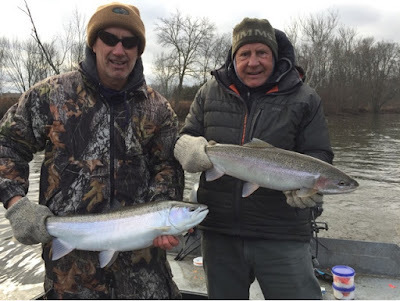 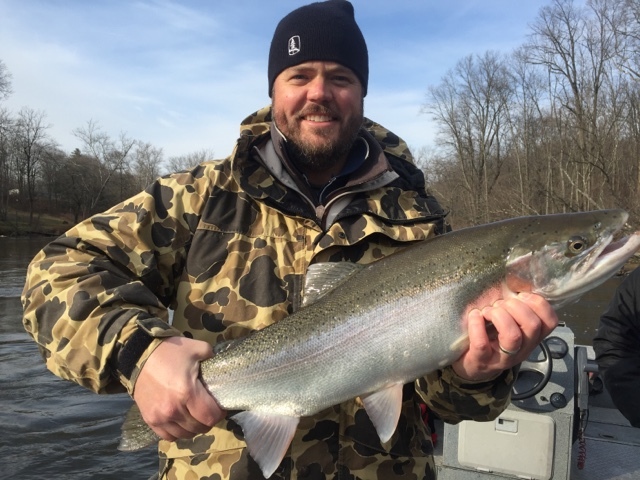 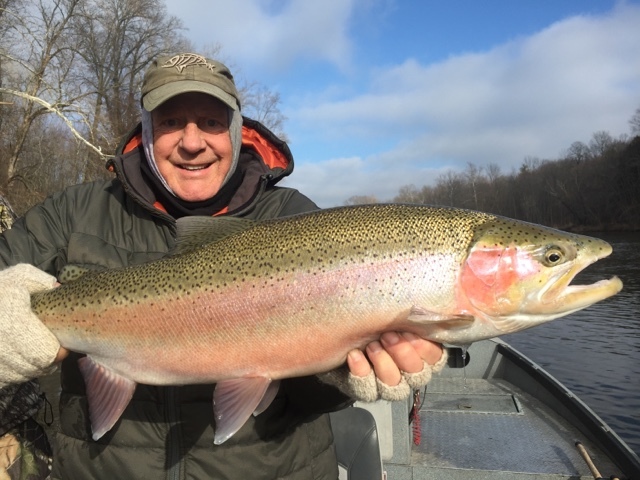 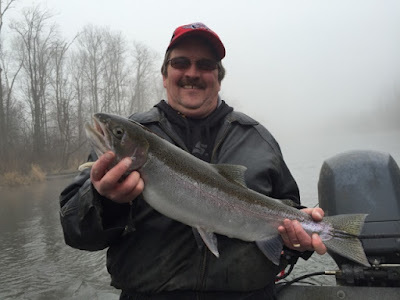 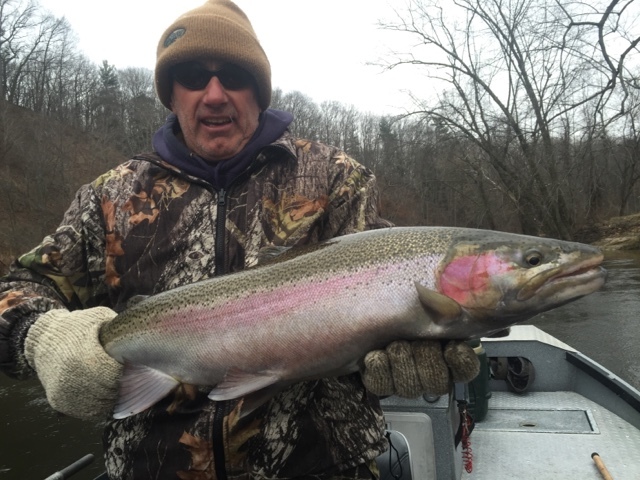 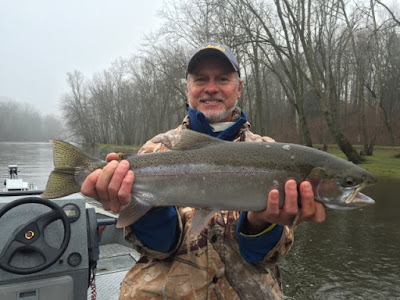 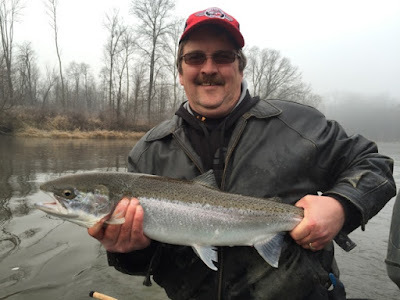 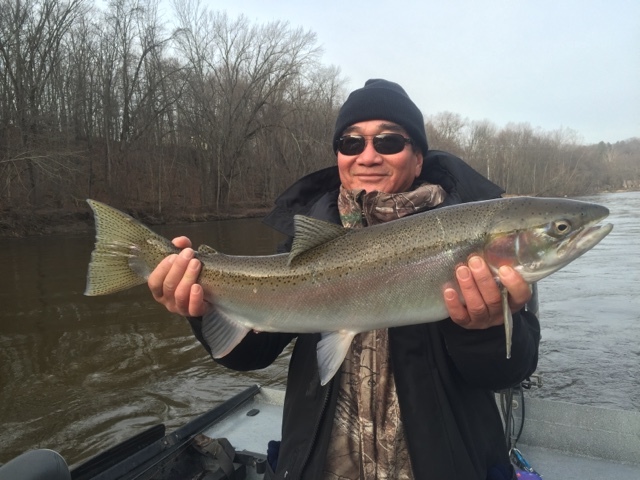 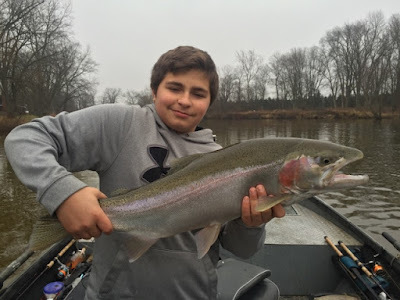 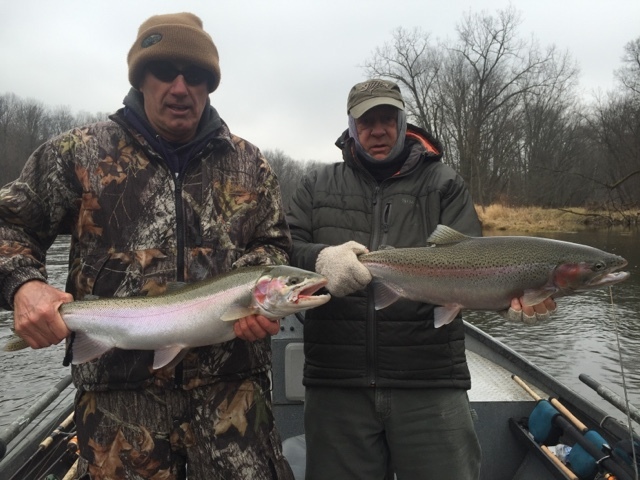 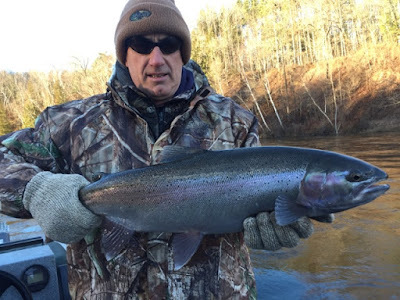 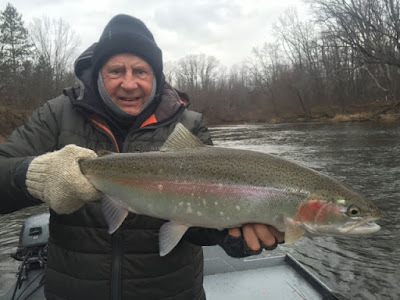 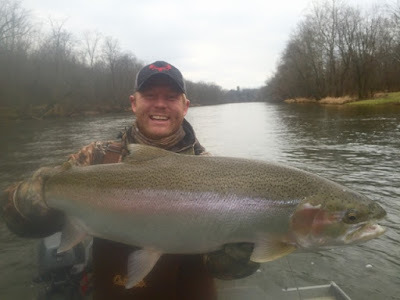 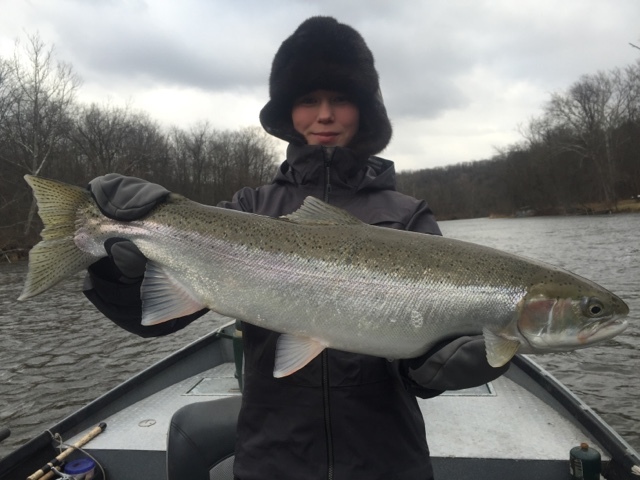 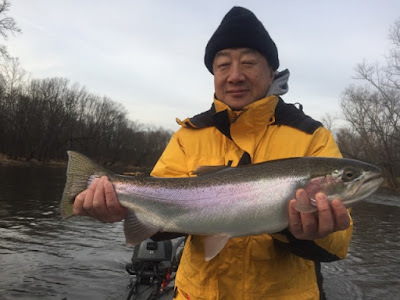 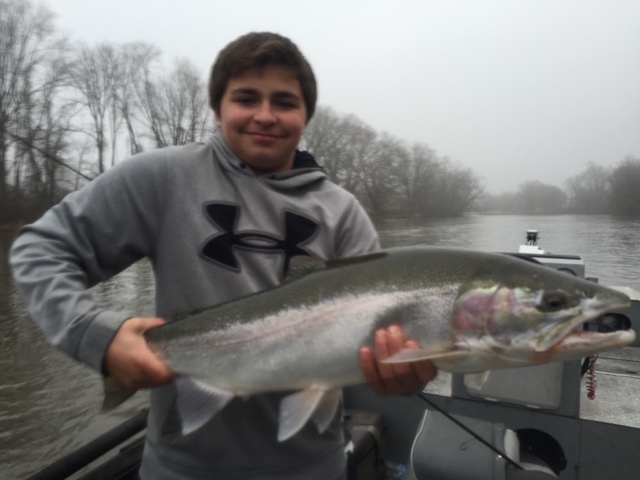 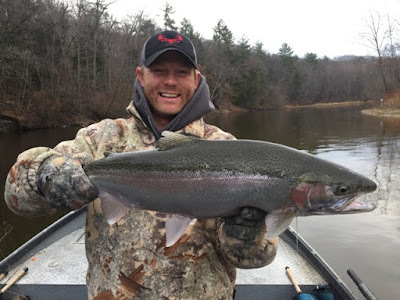 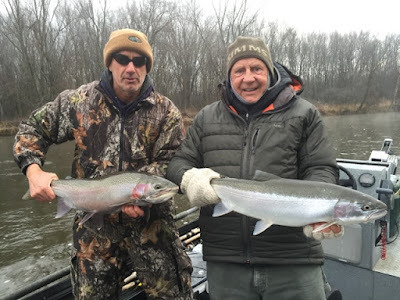 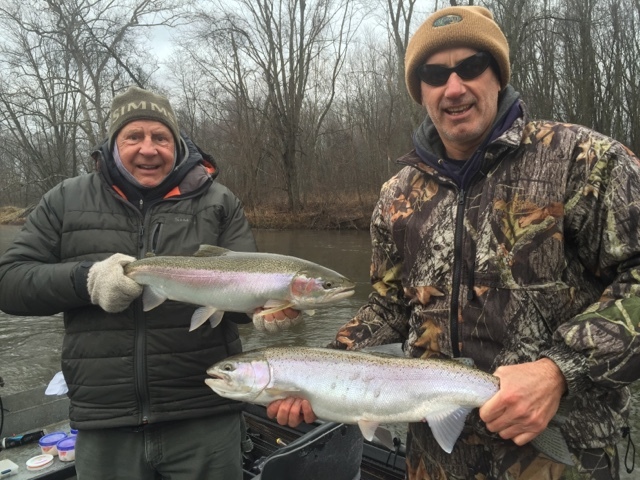 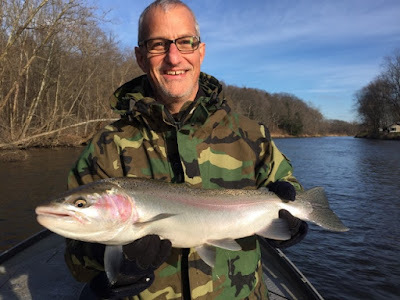 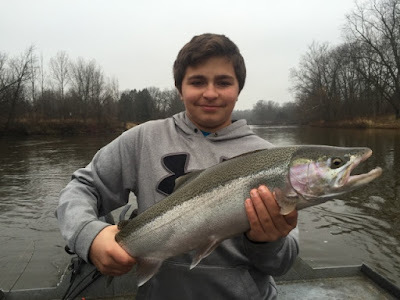 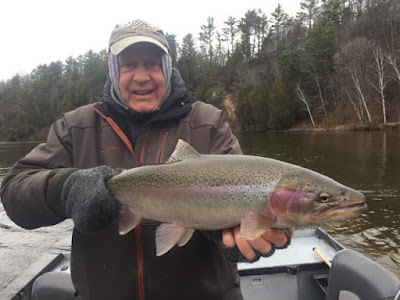 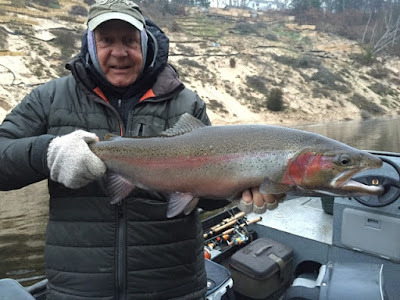 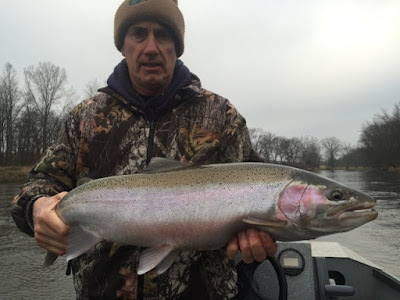 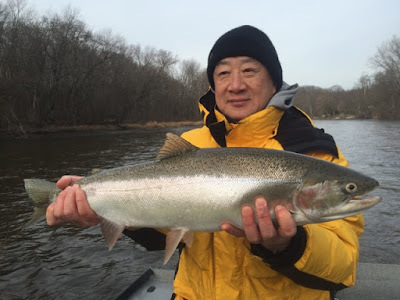 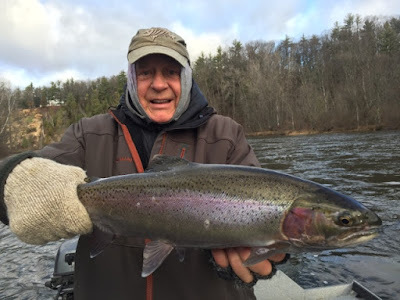 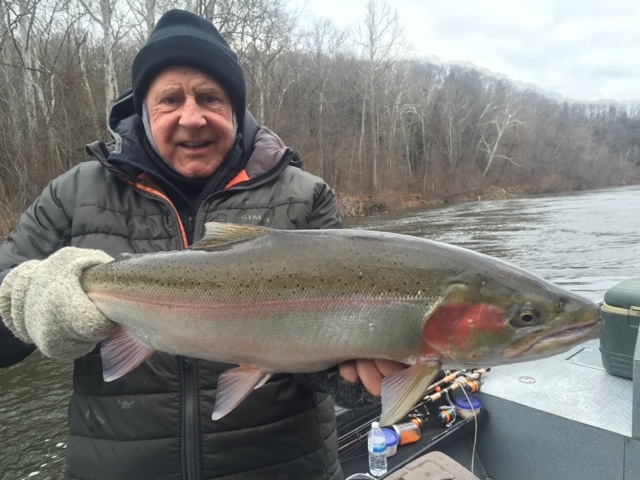 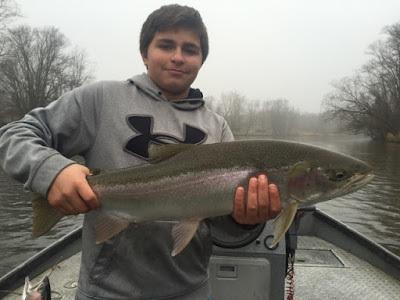 Steelhead fishing has been outstanding this December! Water level is dropping and is currently about 2,600 cfs. There are good numbers of fish throughout the system. 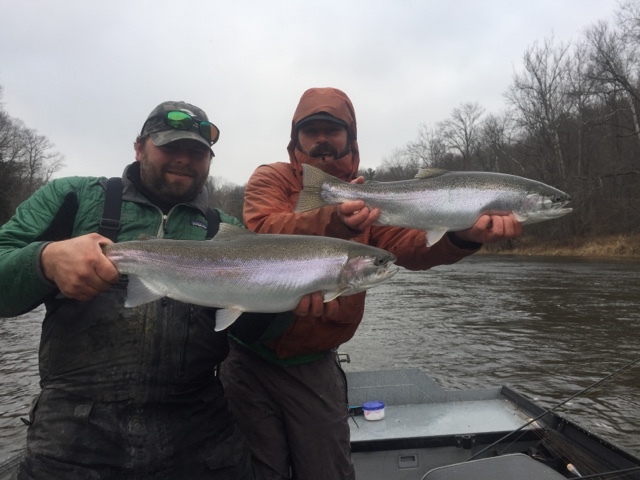 Here are a few pictures from the past couple days. 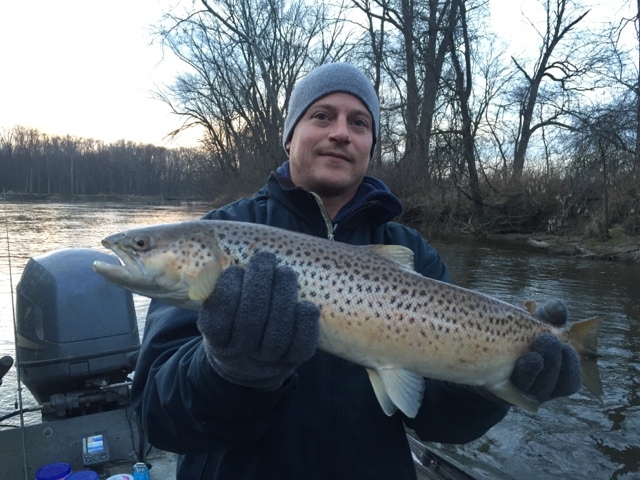 The Steelhead fishing has been great for the first half of December. 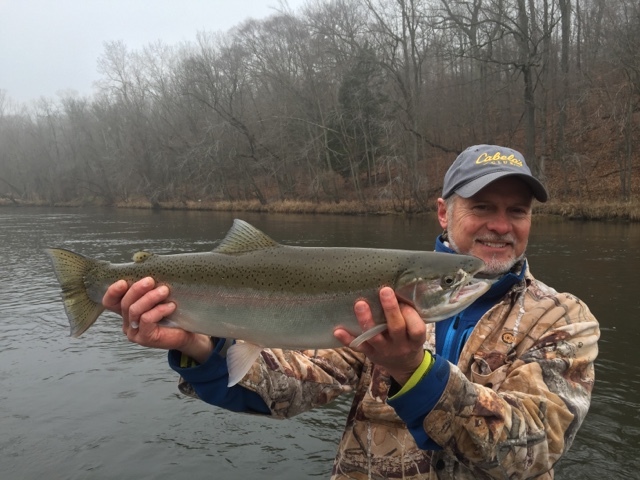 Water temp is holding in the low 40's due to the unseasonably mild weather. After another batch of rain moved thru the past couple days the river is up to about 4,300 cfs and has a light stain. 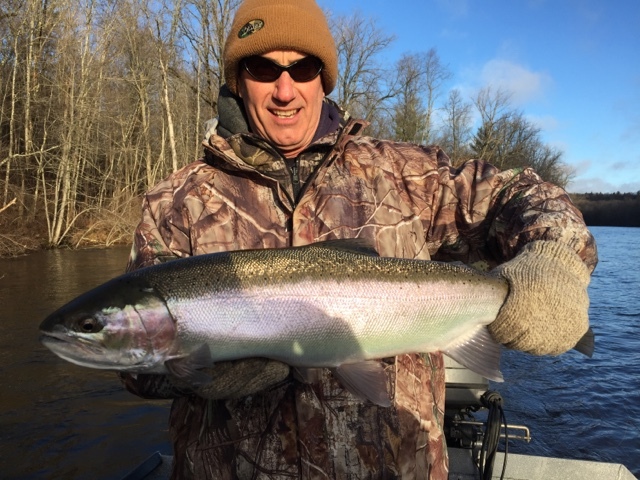 There are good numbers of fish in the system so we should be in for some great fishing this winter. I have a couple open dates later this month and plenty of openings in January for anyone looking to get out. 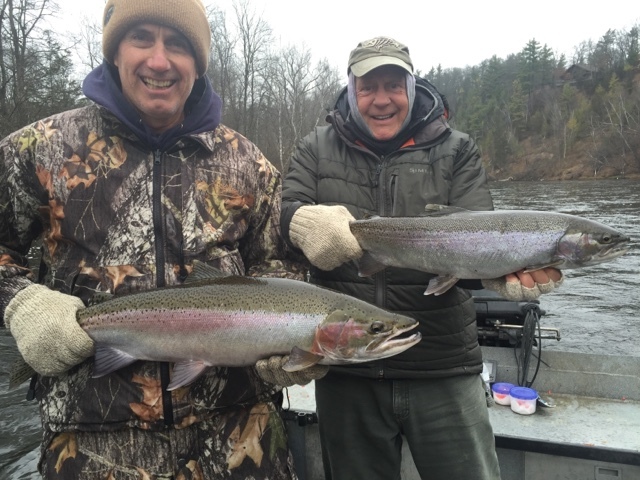 Here are a couple pictures of some of the fish caught recently. 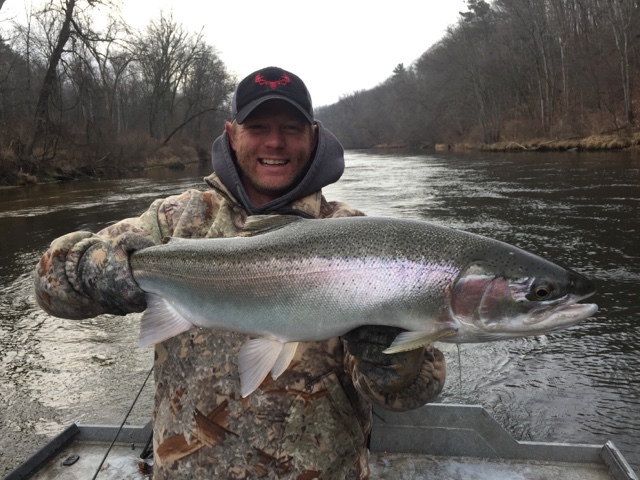 Steelhead fishing has been great recently. A new batch of fish has pushed in and it seems fishing has been good in every section. 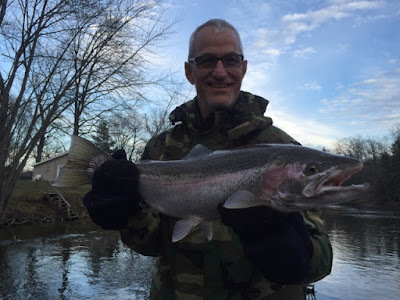 Today was exceptional, the fish were very eager to eat.